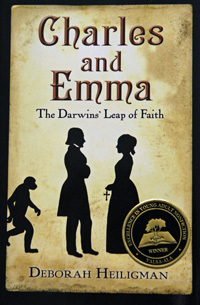 YALSA launched the Excellence in Nonfiction for Young Adults Award in 2010. Learn more about the 2010 winner and finalists. By Deborah Heiligman, published by Henry Holt Books for Young Readers, an imprint of Macmillan Children’s Publishing Group (9780805087215). By Tanya Lee Stone, published by Candlewick. (9780763636111). In the early 1960s, the doctor in charge of testing NASA’s astronauts decided to find out if female pilots were capable of passing the grueling qualification tests required of male pilots. Feasible? Yes. Allowed? No. 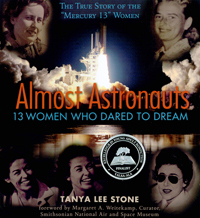 All testing of women’s potential for the Mercury program was done outside NASA’s purview and without their permission. The reasons why will stun readers. By Phillip Hoose, published by Melanie Kroupa Books/ Farrar Straus Giroux, an imprint of Macmillan children’s Publishing Group (9780374313227). Hoose recounts the largely untold story of Claudette Colvin, who was arrested and jailed at the age of 15 after refusing to relinquish her seat on a bus to a white woman. 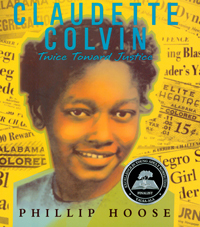 Interviews with Colvin create a vivid picture not only of the Montgomery bus boycott but also the Browder v. Gayle case, in which she was a key defendant. 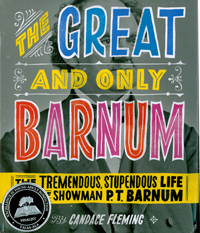 By Candace Fleming and illustrated by Ray Fenwick published by Schwartz & Wade Books/Random House (9780375841972). 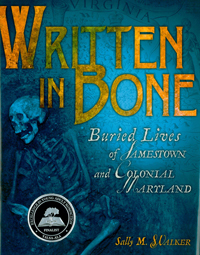 Members of the 2010 YALSA Award for Excellence in Nonfiction for Young Adults award committee are: Chair Angela Carstensen, Convent of the Sacred Heart, New York; Sallie H. Barringer, Walnut Hills High School, Cincinnati; Betsy J. Fraser, Calgary (Alb.) Public Library, Canada; Joyce K. Giuliani, Hayfield Secondary School, Alexandria, Va.; Andy Howe, Albuquerque (N.M.) Academy Simms Library; Dr. Jami L. Jones, East Carolina University, Greenville, N.C.; Tena Litherland, Webb School of Knoxville, Tenn.; Stephen L. Matthews, Foxcroft School, Middleburg, Va.; Jody Sharp, Baltimore County Public Library, Towson, Md. ; Judy Sasges, administrative assistant, Sno-Isle Libraries, Marysville, Wash.; and Daniel Kraus, Booklist consultant, Chicago.